This compact, industrial-grade isolator provides a high-voltage isolation barrier between a computer and a connected USB device. The isolation protects equipment from electrical surges and transient voltage spikes. It also eliminates ground loop currents flowing between the PC and peripherals which can cause damage and inaccurate measurements. Additionally, isolation minimizes conducted noise from static discharge, magnetic fields, and radio frequency interference. Acromag’s USB isolator is very easy to use. The isolator inserts in-line with the USB connection and operates transparently. No special software drivers are required. The unit receives power from the PC’s USB port and isolates that power to the connected device. High noise immunity and low radiated emissions ensure reliable data transfer in sensitive applications. A number of high-performance features help provide convenient and dependable operation. The green LED indicates that power is being received and blinks if the connected device draws too much current. An internal jumper lets you switch from Full Speed (12 Mbps) to Low Speed (1.5 Mbps) communication. The reset button offers a simple way to reinitialize a connected device without breaking the cable connection. High-retention USB sockets keep cables securely attached under shock and vibration. Standards: USB 1.1 and 2.0 compatible, full speed (12Mbps, default) and low speed (1.5Mbps) data rates supported. For low speed data rates, an internal jumper is provided for user setting. Connection is transparent, no software or configuration is required. Isolator will not be enumerated in the device manager. Dimensions: 2.40” Length x 1.85” Wide x 0.925” High (60.96mm x 46.99mm x 23.495mm). Connectors: Standard high retention USB A/B connectors with minimum withdrawal force of 15 Newtons. 1 meter A/B cable included. PC Connector: USB Type B receptacle. Device Connector: USB Type A receptacle. LED Indicator: Green LED indicates isolator receiving 5V power from the USB computer bus. Flashing indicates short circuit/retries on peripheral side. Reset Button: Resets the connection to the USB peripheral device for reinitialization and re-enumeration. Enclosure Material: ABS Resin, UL94 rated, IP30 plastic case. Operating temperature: -40 to 70°C (-40° to 158°F). Power: PC Connect Side: Standard USB bus power (5V DC). Device Connect Side: 5V DC / 120mA with full power connection from PC. Includes over-current protection with auto-retry. Isolation: 1500V AC / 2100V DC peak isolation. 250V AC continuous safety isolation. Agency Approvals: CE and FCC compliant. UL/cUL Class 1 Div. 2 Zone 2. Radiated Field Immunity (RFI): Designed to comply with IEC1000-4-3 Level 3 and EN50082-1. 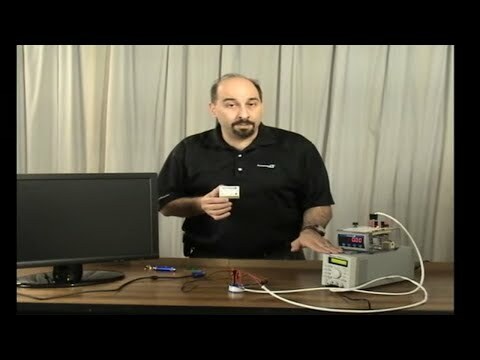 Electrostatic Discharge (ESD) Immunity: Per IEC61000-4-2. Radiated Field Immunity (RFI): Per IEC61000-4-3. Electrical Fast Transient Immunity (EFT): Per IEC61000-4-4. Complies with IEC1000-4-4 Level 3 and EN50082-1. Surge Immunity: Complies with IEC1000-4-5 Level 3 and EN50082-1. Per IEC61000-4-5. Conducted RF Immunity (CRFI): Per IEC61000-4-6. Radiated Frequency Emissions: Per CISPR11 Class A. Meets or exceeds EN50081-1 for Class B equipment.